The national school walkout for gun control that took place at many public schools across the country Wednesday likely violated the Constitution. That is because the government — in this case, public schools — made a special accommodation for a political viewpoint that it would not make for the opposing view, or for any other view. A long history of First Amendment jurisprudence establishes that such viewpoint discrimination is impermissible. The way to put schools on the hot seat would be to organize a pro-Second Amendment walkout, or a walkout on various other issues. School districts could argue that they were not discriminating among viewpoints, but rather expressing their own viewpoint. That it unlikely to pass constitutional muster, either, because schools are not supposed to be advocating for certain public policy issues, not to mention taking a position that arguably undermines a provision of the U.S. Constitution. But it would require the school districts to argue that the walkout was not “student-staged” at all. It would expose the fact that the walkout was largely run by national political organizations like Women’s March and lobbyist groups like the PTA. 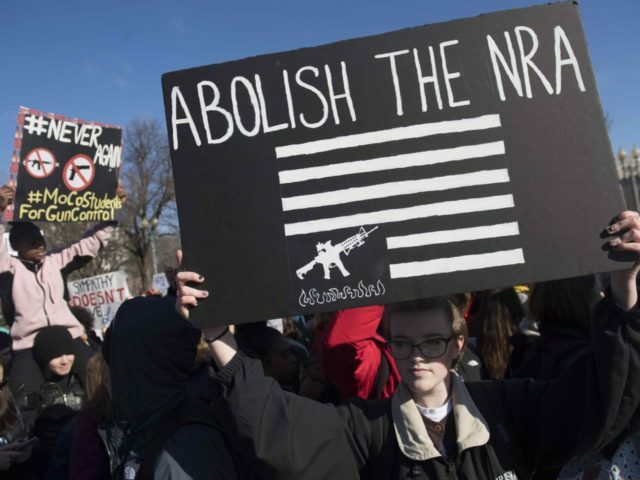 In any lawsuit, moreover, many school districts would likely have to face the fact that their participation in the anti-gun walkout violated their own policies. That is not even a constitutional issue, but a basic administrative law issue. It is the basis for a potential lawsuit by angry Connecticut parents against the New Milford Board of Education, for example. What happened Wednesday was wrong, and no amount of Democrat-media cheerleading can change that.